I have a little (big) treat for you guys today! It’s something that’s going to save you sooo much time and hassle (and mmmm…. some bloating and guilt too) as we head into the upcoming holiday season! With Thanksgiving just around the corner next week, I wanted to make you a little present, that will make you more present: something that will have an actual impact on how you show up for yourself and how you’re feeding those around you, in these next 6 weeks of the holiday season. 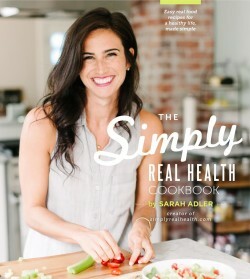 From my real-food and simplicity-obsessed brain, to your kitchen. So you can have more ease, fun, and actual ENJOYMENT of great food in this upcoming typical season of indulgence, without feeling deprived or like the weirdo at your holiday parties. To give you literally the perfect go-to recipe for any kind of night, day, event, party, etc in the next six weeks. The office potluck that is actually just a table full of baked goods (and jello?) (check, there’s a perfect recipe for that). The thanksgiving table with relatives who cling to their marshmallow topped yams for dear life? (check, and that). The girls wine night when you don’t want to eat only cheese and crackers all night long? (mmmm hmmm, check, that too). The white elephant party and you’re in charge of drinks? (yup, even that). 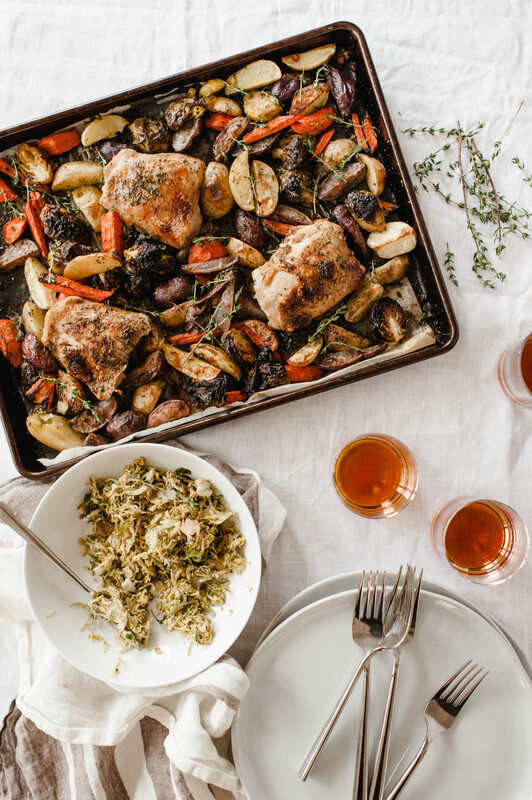 The classic hannukah dinner that needs a little re-side-dish revamping? (easy). The morning after the big nights and you want to get back to feeling good ASAP? (ooo yes, needed). All those other days in between the big events that you could easily just eat leftovers that kill your vibe? (you better believer it sister). 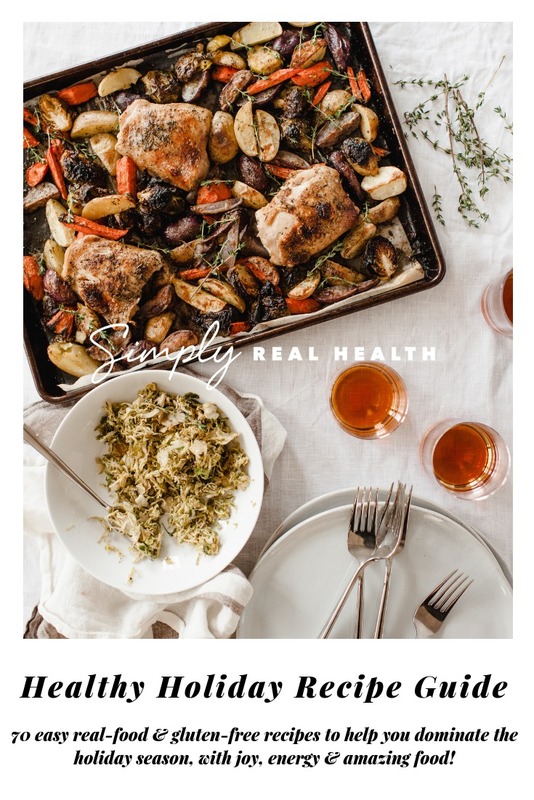 The Simply Real Health HEALTHY HOLIDAY RECIPE GUIDE is here, and ready to help you dominate life this season! Because the combination of family, busy-ness, overloaded schedules, and trying to subsist/force down that creamed corn with saltines, on top of the no lack of sweets and treats for the next few weeks…..well, is kind of a recipe for disaster. Don’t get me wrong, I’m all for the joy of the season. But in order for it to be joyful and relaxing and full of feel good happiness, you have to go into it prepared. Armed and ready. Physically (and mentally). As in, with a full arsenal of delicious and real-food easy recipes that you know everyone will love, that are simple and easy to make, and will keep you healthy, happy and ABLE to enjoy all the bright spots of the season. 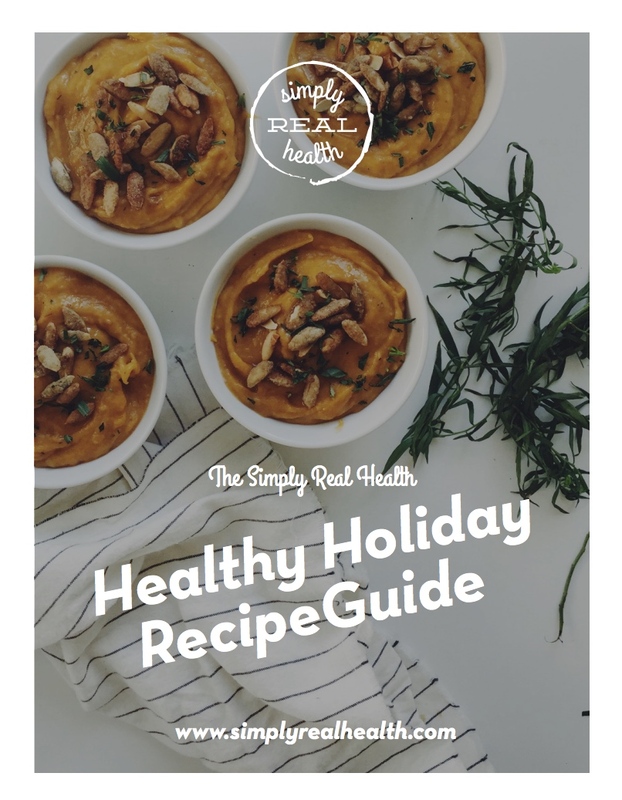 The Simply Real Health HEALTHY HOLIDAY RECIPE GUIDE is now available to buy, print and have at your fingertips. 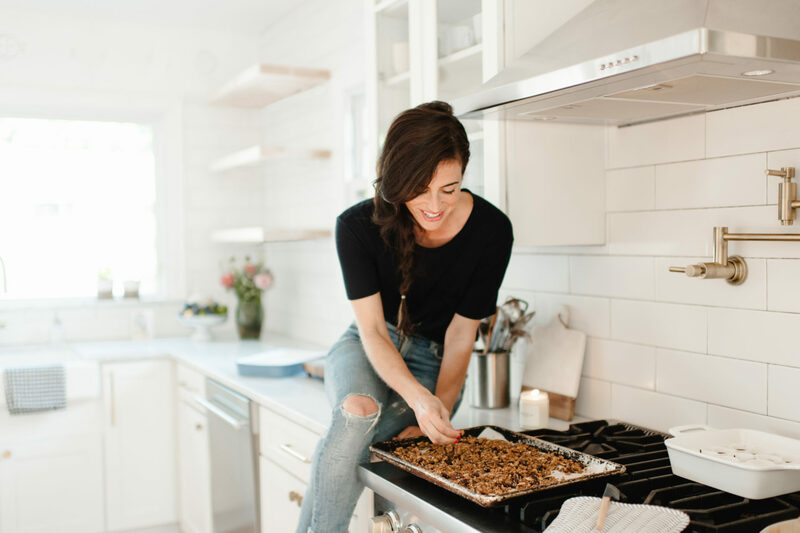 With over 70 amazing, fool-proof, delicious ideas to keep you inspired, feeling great and fully energized this time of year. With the full spectrum of healthy seasonal cocktails, appetizers, sides, big gorgeous & festive salads and entrees that will most definitely get eaten first, and healthier desserts too! All of them naturally gluten free and dairy-free friendly. I mean, you could spend hours searching for something somewhat healthy in your cookbooks and online. Usually in the panic of needing it THAT DAY. Or you could just have them all downloaded and printed out (or saved on your ipad) before the season even begins. Inspiration, right in your kitchen, for no matter what the season holds. All for less than the cost of a pedicure. 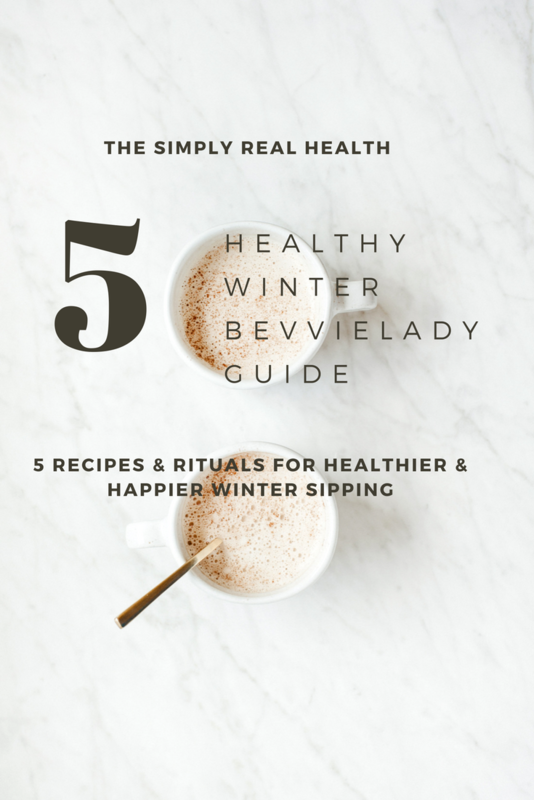 Your Healthy Holiday Guide will be delivered within 5 minutes to your inbox after checkout.